Deciduous broadleaf shrub or tree, pendulous growth habit, with time may reach 16 ft (5 m) tall with a similar width. Leaves are a deep red color and have finely dissected lobes as long as 12 cm, each lobe is deeply dissected along the edge to the midrib of the section; a leaf may be about 10 cm wide and with a feathery, cascading appearance. The foliage holds its color into mid-summer. 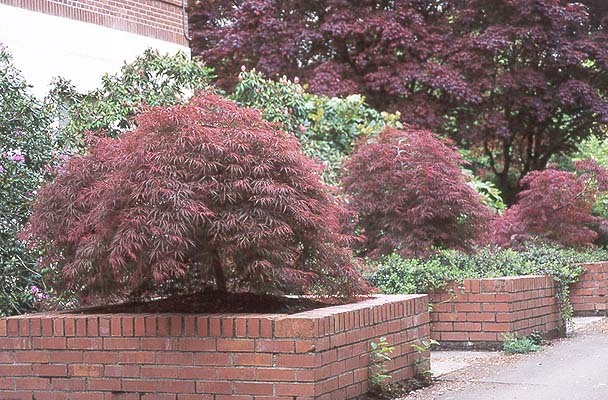 Partial shade will prolong the deep red colors. In late summer the leaves turn bronze or bronzy-green, but in fall the foliage becomes bright red. Apparently more than one selection is known as 'Ever Red'; in the true form the "new shoots and foliage are noticeably covered with fine silvery hairs which make the unfolding new growth almost grey. 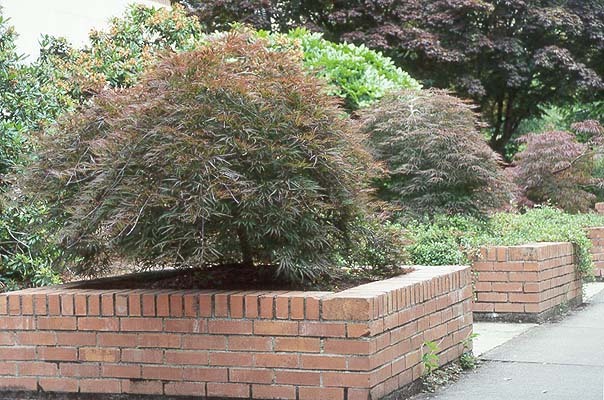 It soon loses the pubescence and attains the deep red color so typical of this cultivar" (Vertrees, 1978, p.65). Needs strong sun for at least part of the day to develop their typical color. 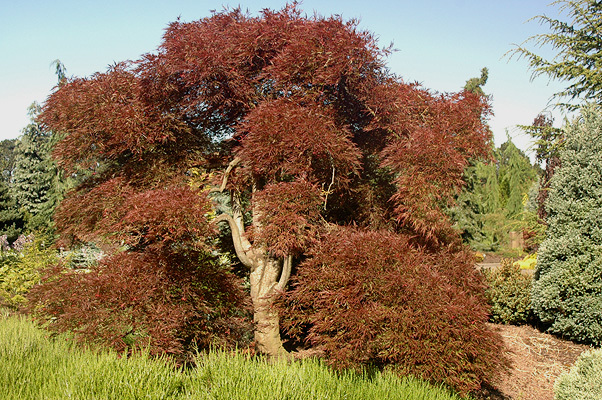 J. D. Vertrees (1978) was convinced that 'Ever Red' is the same as the old European cultivar, 'Nigrum' [actually the correct name is 'Dissectum Nigrum' (Gelderen and Gelderen, 1999)]. 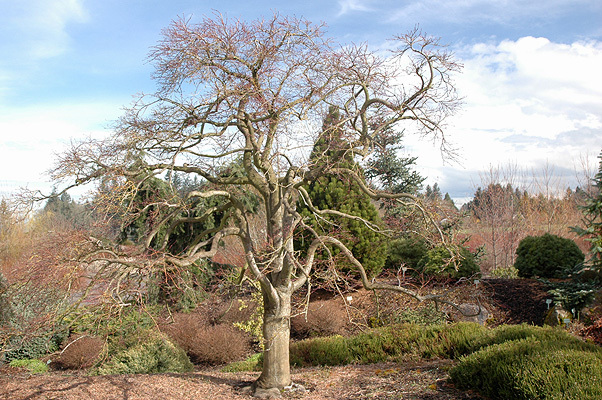 'Dissectum Nigrum' was likely renamed 'Ever Red' in the United States. Oregon State Univ. campus: in planters between Bexell and Gleeson halls.